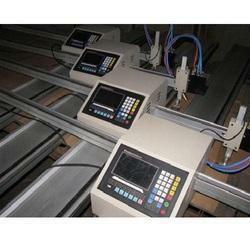 We are manufacture of Automatic CNC Cutting Machine. Banking on the skills of our qualified team of professionals, we are instrumental in offering supreme quality range of Fully Automatic Metal Cutting Machine. From our wide range of products, we offer optimum quality Portable CNC Cutting Machine. The offered machine is manufactured using optimum quality components and high-end technology. We offer this machine in different models and other related technical specifications, in order to meet needs of our prestigious clients. Apart from this, our offered range is rigorously tested by our experts on well-defined parameters to deliver a flawless range at our client's end. Looking for CNC Cutting Machine ?